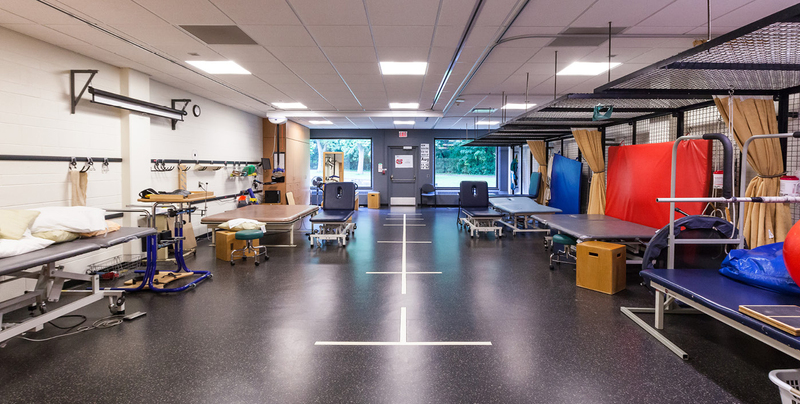 University Health Network Rehab Department Renovations - Strasman Architects Inc.
For this second phase of the full department renovation, SAI was retained directly by the contractor to facilitate a design-build delivery format. 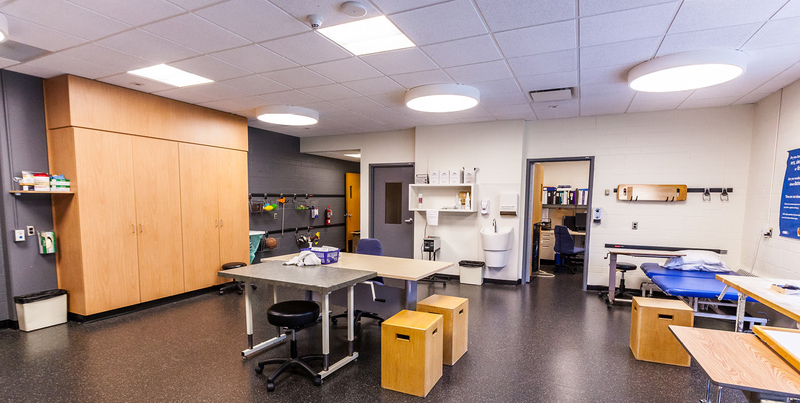 The mandate was to retrofit the existing area to enhance the patient experience, infection control and treatment functionality. 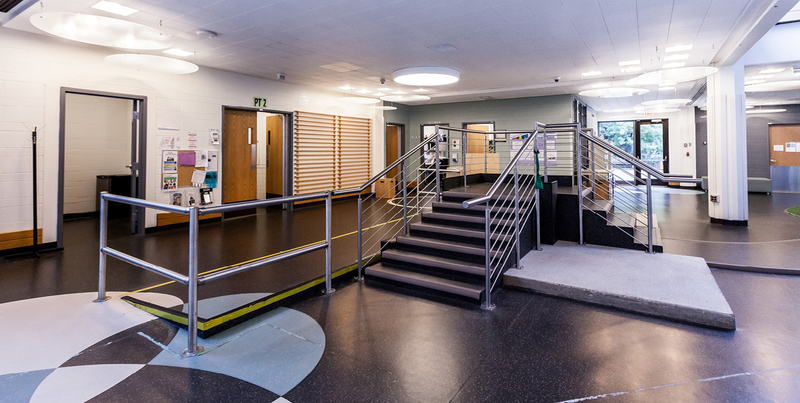 The renovated areas included a new car room, main rehabilitation treatment area, cast room, ADL kitchen, administration and central physiotherapy treatment. 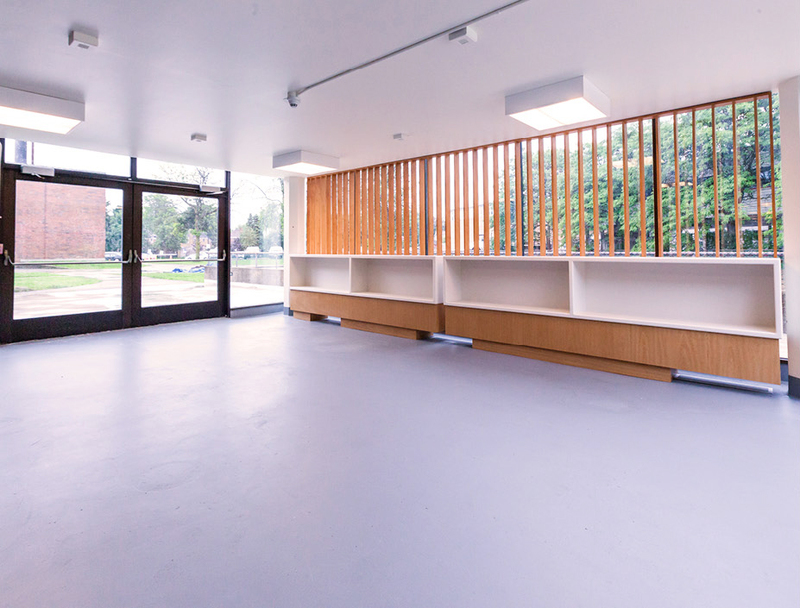 A consistent palette of materials was maintained in the design to coordinate with the existing facility as well as provide an updated aesthetic. 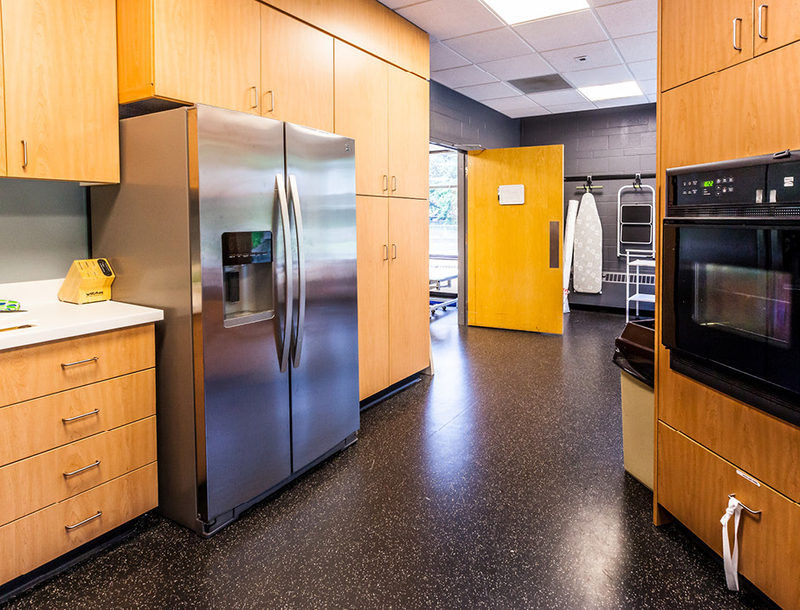 Solid surface counters were provided to adhere to UHN infection control standards, with solid maple millwork elements built in for durability and warmth. In close consultation with the user groups and Hospital project manager, a clear scope of work was defined to ensure that project objectives and budget targets were achieved.